Original article appeared in Black Enterprise. Good intentions alone will not endow educators with the ability to see potential where they don’t expect to find it. During a recent visit to California, an old friend made an assertion so astonishing that it took a while to fully digest. Emmett Carson, a Ph.D. economist and president of the Silicon Valley Community Foundation, claimed that California schools had gone out of their way to hold back black and Latino achievers. Despite doing well on standardized math tests, many blacks and Latinos were shepherded into remedial math. “We found it completely by accident,” said Carson. In the course of examining data on the racial achievement gap, a foundation-funded researcher discovered that schools were assigning many minority students to remedial classes even though they were performing at grade level. Scholars have known for decades that some ethnic groups perform worse than others on assessments of academic achievement. But despite that reality, educators have long recognized that many black and Latino students are every bit as smart as gifted white students. So Carson was shocked to discover that they were not treated as equals. Northern California is not alone in short-changing talented minorities. 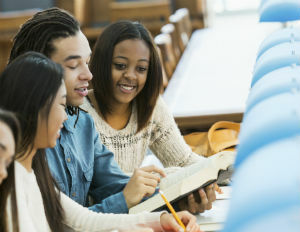 In a recent American Educational Research Association journal article, two Vanderbilt University researchers found that even when blacks had equivalent grades and scores they were “less likely to be assigned to gifted services in both math and reading, a pattern that persists when controlling for other background factors, such as health and socioeconomic status, and characteristics of classrooms and schools.” The culprit, they concluded, was “teacher discretion.” They also found that black students with black teachers were more likely to be sent to gifted programs. Some years ago, I watched a white parent in my daughter’s elementary school demand that her child be put into a gifted program even though his scores did not justify the demand. The principal relented and now that student is doing fine. Black and Latino students generally don’t get that option. Carson’s activism resulted in new legislation. The bill, sponsored by State Sen. Holly Mitchell and signed into law last October, requires schools to adopt “a fair, objective, and transparent mathematics placement policy” this year. That’s a good result. But it is a less than a satisfying result. Human intervention—an assessment by a wise, caring person based on knowledge that cannot be gleamed from a test—can make a huge and positive difference in a child’s life. Unfortunately, as long as racial presumptions are part of the equation and as long as people are not nearly as unbiased as they assume, good intentions alone will not endow educators with the ability to see potential where they don’t expect to find it.